The response to our request for funds to help Pastor Cadet build a stable structure with real walls and a roof is a little overwhelming. We now not only have enough funds to cover the construction needs, but we will also be able to send extra money to cover the cost of supplies that were ruined and lost to the Hurricane. Here is part of an email I received from Pastor Cadet after the Hurricane. One day after Hurricane Matthew in Haiti, there is a lot of material damages because it came with a lot of rain and wind. It causes more damages in the south of the country. Thanks to God, the church ladies are doing well after the hurricane and all of the students of the sewing course are doing ok. The only thing is the wind has torn and threw away the tent of the sewing class. In addition to the donations we will be sending to Pastor Cadet, days after the Hurricane we sent $700 to Mission to Haiti for beans and rice for Hurricane victims. 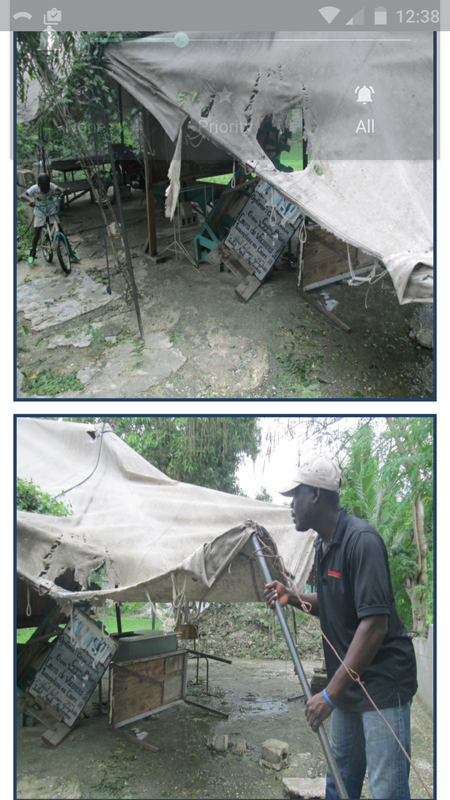 Two of Mission to Haiti’s sponsor schools were in the path of the storm. 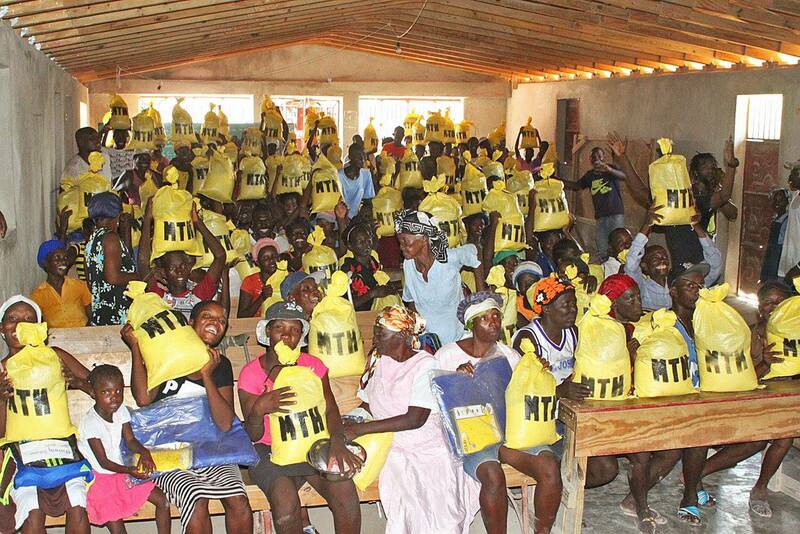 Hurricane Matthew victims receiving food. The Hurricane was awful and caused much damage and loss of life (especially on the southern side of Haiti), but below is an encouragement from Mission to Haiti’s facebook page that Jesus doesn’t stop working in the storms. And often it is when the storms hit that people are drawn to the Savior. Pastor Brucely told us that the church was filled yesterday for service! People who are being helped through the relief effort came to the Ti Goave church, a number of them for the first time. The Lord is using this circumstance as an opportunity to draw people to church and to the message of the Gospel! Anyone interested in donating specifically to a Hurricane help fund can go to missiontohaiti.org.